Two 6 month junior / middle grade doctor posts available – one commencing Feb 2018, the other Aug 2018. Includes funded enrolment in Postgraduate Certificate in Remote Healthcare or Diploma in Occupational Medicine. DDRC Healthcare is a charity providing hyperbaric oxygen therapy (HBO), training and research in Diving and Hyperbaric Medicine and associated fields. In conjunction with Plymouth Hospitals NHS Trust, we are looking to appoint two junior doctors for 6 month posts – one doctor to commence February 2018 and the other August 2018. 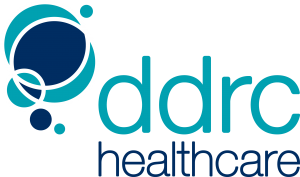 DDRC Healthcare are looking for Doctors with a minimum of 2 years experience post qualification. You must have full registration with the GMC or be eligible to become fully registered. You must also hold a diving qualification. The post will be an average of 6 sessions per week at DDRC Healthcare and 4 sessions per week in the Emergency Department, Derriford Hospital. Derriford Hospital is adjacent to DDRC Healthcare and is the largest teaching hospital in the southwest with a busy Emergency Department. DDRC Healthcare provides HBO for elective and emergency patients for conditions including decompression Illness (DCI), tissue damage secondary to radiotherapy and diabetic ulcers. Training will be provided in Diving and Hyperbaric Medicine and successful candidates will be encouraged and funded to enrol in the Postgraduate Certificate in Remote Healthcare run by the Plymouth University Peninsula Schools of Medicine and Dentistry or the Diploma in Occupational Medicine. There is no on call commitment for the diving aspect of this post however individuals will be encouraged to be involved in the management of diving accidents. The ED sessions may include some night shifts. Combined Diving & Hyperbaric Medicine / Emergency Medicine post. Two 6 month junior / middle grade doctor posts available – one commencing Feb 2017, the other Aug 2017. Includes funded enrolment in Postgraduate Certificate in Remote Healthcare or Diploma in Occupational Medicine. DDRC Healthcare is a charity providing hyperbaric oxygen therapy (HBO), training and research in Diving and Hyperbaric Medicine and associated fields. In conjunction with Plymouth Hospitals NHS Trust, we are looking to appoint two junior doctors for 6 month posts – one doctor to commence February 2016 and the other August 2016. We are looking for Doctors with a minimum of 2 years experience post qualification. You must have full registration with the GMC or be eligible to become fully registered. You must also hold a diving qualification. Two 6 month junior / middle grade doctor posts available – one commencing Feb 2017, the other Aug 2017. Includes funded enrolment in Postgraduate Certificate in Remote Healthcare or Diploma in Occupational Medicine. The post will be an average of 6 sessions per week at DDRC and 4 sessions per week in the Emergency Department. We are looking for Doctors with a minimum of 2 years experience post qualification. You must have full registration with the GMC or be eligible to become fully registered. Derriford Hospital is adjacent to DDRC and is the largest teaching hospital in the southwest with a busy Emergency Department. DDRC provides HBO for elective and emergency patients for conditions including Decompression Illness, tissue damage secondary to radiotherapy and diabetic ulcers. Training will be provided in Diving and Hyperbaric Medicine and successful candidates will be encouraged and funded to enrol in the Postgraduate Certificate in Remote Healthcare run by the Plymouth University Peninsula Schools of Medicine and Dentistry. DDRC Healthcare is a charity providing hyperbaric oxygen therapy (HBO), training and research in Diving and Hyperbaric Medicine and associated fields. In conjunction with Plymouth Hospitals NHS Trust, we are looking to appoint two junior doctors for 6 month posts – one doctor to commence February 2015 and the other August 2015. 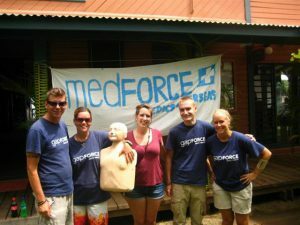 Motivated medic required in remote northern Fiji to support a marine conservation project. Project: 5th July ’til 13th September. Diving & Marine Medicine participants will arrive in the Gladstone area and transfer to the Eastern Voyager on a Sunday morning. It is advisable to fly into the region on the Saturday if possible to get over jet lag before starting the course. You’ll then meet the rest of your group, with whom you’ll be living and diving over the following week. One of the challenges of expedition life is living in close quarters in a group, with people who you would not naturally choose as companions…so please bring a positive attitude and a sense of humour! As our CME accredited Diving and Marine Medicine course in the Maldives hoves into view in October Dr Rob Conway, founder of award winning marine conservation charity Blue Ventures, looks at Malaria and its risks to diving. An increasing number of us are heading to more remote areas to discover that dream dive, which means that you may be exposed to an increasing number of diseases. Malaria is common and caused by the parasite Plasmodium. There are several different types that effect humans, most commonly Plasmodium falciparum. The others are less common and cause a milder form of the disease that is rarely fatal. Malaria is transmitted by female mosquitos (Anopheles sp) that bite from dusk. Males feed on plant nectar and so do not transmit malaria. They transmit the parasite whilst feeding on your blood. These migrate to the liver and over 7 to 30 days multiply before bursting and infecting red blood cells in waves. Therefore an infected individual may feel waves of fever that are characteristic of the disease. Other symptoms include severe headache, shivering, arthralgia (joint pain) and vomiting all of which may be confused with a diving related illness. Signs include enlarging of the spleen and anaemia. In severe cases there is blood in the urine, renal failure, seizures, coma and death. If you are heading to an endemic area be smart. Avoid getting bitten by using a suitable repellant, wear long sleeves and trousers from dusk and sleep under a net. Take an anti-malarial medication for the correct amount of time. The most common drugs include mefloquine (Lariam), doxycycline (an antibiotic) and a combination of atovaquone and proguanil (Malarone). There is no evidence that any of these are contraindicated in SCUBA, but efloquine is not universally accepted by all doctors and there is little data on Malarone at depth. Each has its own benefits and pitfalls. Some require you to take them for a period of time before and after a trip, remember, the parasites life cycle can be over a month. Consult a physician before departing. If you suspect malaria, seek medical treatment immediately. Look for flu like symptoms from 7 days after entering a malarial area. Work along the lines of it is malaria until proven otherwise. I evacuated someone from Madagascar on a diving expedition with convulsions, I had no idea at the time of the cause, it turned out to be malaria. If you are going remote then there is a rapid test available (ICT kit) and take a stand by emergency treatment with you such as artemether-lumefantrine (Coartem) or quinine plus doxycycline. Previously Expedition Medicine had run it’s Diving and Marine Medicine course in the Bander Khayran area of the Oman coast but decided to change location to guarantee great diving to the Maldives. So, in October of this year an eclectic band of medics from literally all over the world joined Diving Medic Dr Lesley Thomson – who has treated divers at the Plymouth and Aberdeen Hyperbaric Units, Dr Robert Conway founder of award winning marine conservation charity Blue Ventures, Dr Mark Read a marine biologist and Head of the endangered species unit of the Great Barrier Reef National Park and Mark Hannaford veteran of over 25 years of adventure travel and expeditions to all of the worlds continents aboard the dive boat Ari Queen for a week amongst the coral atolls of the Maldives. The diving standard was set by our first ‘proper’ dive after our initial check dive when we dived at a Manta Ray feeding station. I don’t think any of us were really prepared for the spectacle surrounding us. Diving down to about 25 metres we positioned ourselves below the reef edge and it wasn’t long before a mass of manta rays, both fully grown adults and juveniles, were looming out of the slightly murky water and gracefully glided over our heads. This really set the standard for the diving on the course, which reached a pinnacle on the last dive where a mass a over 10 Grey Sharks were spotted amongst huge flight of Eagle Rays, White tipped Reef Sharks, a giant Napoleon Wrasse and the most relaxed Hawksbill Turtle that any of us had ever dived with, calmly grazing next to us as we admired the gallery of marine life whilst a territorial Titan Trigger Fish took a fancy to our dive guide! The teaching side of the course maintained equally high standards, with a range of specific diving medicine related topics covered, including decompression sickness and diving physiology. The team also drew upon Lesley’s experiences as a medical officer and diving medic for the British Antarctic Survey, Rob’s years of marine conservation work in Madagascar, Mark Read’s encyclopaedic knowledge of the underwater world and Mark Hannaford’s quarter century of experience of running expeditions and adventure travel. If you are getting the impression that it was a pretty action-packed course you would be right – some days lecturing did not finish until 10pm! – but it was also hugely enjoyable! The enormous wealth of experience amongst the delegates meant that their input and knowledge added a great deal to the overall leaning. In terms of meeting like-minded people it was a great opportunity to establish some great networks and share contacts. The Diving and Marine Medicine course in the Maldives is accredited by the Wildness Medical Society for CME points and also counts towards gaining a Fellowship of the Wilderness Medicine (FAWN). 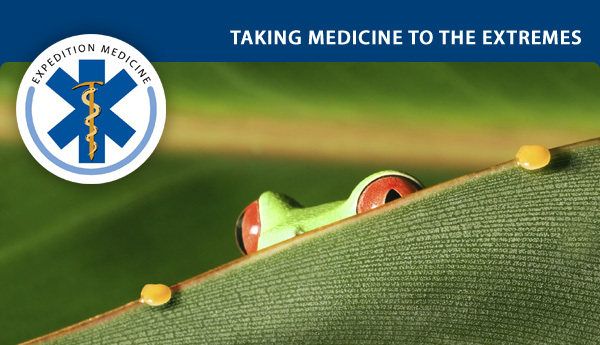 A full list of the topics covered can be found on the Diving Medicine course page of the Expedition Medicine website. Dates for next year’s course are to be confirmed exactly but will be mid-October 2011 – send us an email here admin@expeditionmedicine.co.uk to preregister your interest. 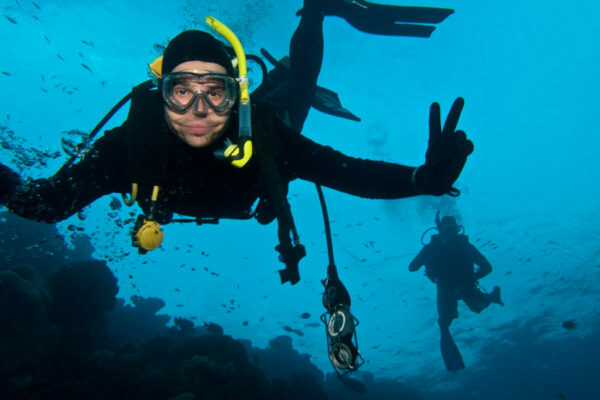 Dive Medicine expert and founder of award winning Blue Ventures marine conservation charity Dr Rob Conway explains why he likes the course so much. Dr Mark Read of the Great Barrier National Park talks about what he gets out of the Diving Medicine course. Dr Klassje Doorenbosch, a GP from Perth, Australia, a delegate on the Dive Medicine course gives her feedback. Expedition Medicine co-founder, Mark Hannaford, featured in this months ‘Waveform’ – a great read anyway regardless of his presence! SILVERTIP Expedition & Diving Management provides consultancy, training and underwater filmmaking services to the expedition, film and television industries. Our highly experienced team provide the expertise, equipment and enthusiasm required to work in some of the world’s most challenging environments. To find out more, browse the what we do pages. SILVERTIP is committed to providing education about conservation of the natural world and our living oceans. 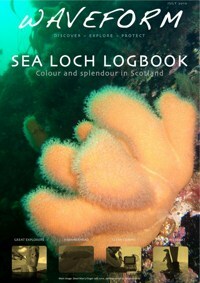 Visit our Google Ocean and eco-aware pages for more information. New Diving and Marine Medicine location – Maldives, Indian Ocean. Expedition Medicine are very excited at being able to offer an inspirational course for all those medical professionals responsible for clients or expedition team members in a diving or marine environment. This is a 6 day course, aiming to give participants an understanding of conditions likely to occur whilst working as a doctor on a diving expedition. Topics covered will include pre-expedition medicals, diving-related illness, marine envenomation, emergency treatments and casevac plans. Practical sessions include boat handling, search & rescue and underwater communications. There will be at least 2 dives a day, including a night dive and hopefully a visit to the hyperbaric chamber on Kuramathi Island – the largest facility in the Maldives. At the end of the week, participants should feel confident to act as medical officer on a diving expedition, or in any UK diving medical practice. Read the ‘What to Expect’ section below to get more of an idea of what the course entails. All participants are expected to at least have a PADI Open Water qualification (or equivalent) with a minimum of 10 dives. Ideally participants should have PADI Advance Open Water qualification (or equivalent) as we will be doing some current diving. 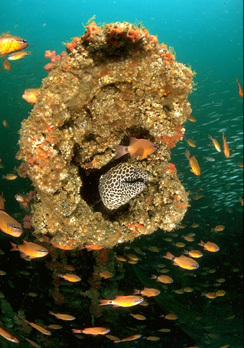 Conditions are dependent on dive sites, currents and times of year. 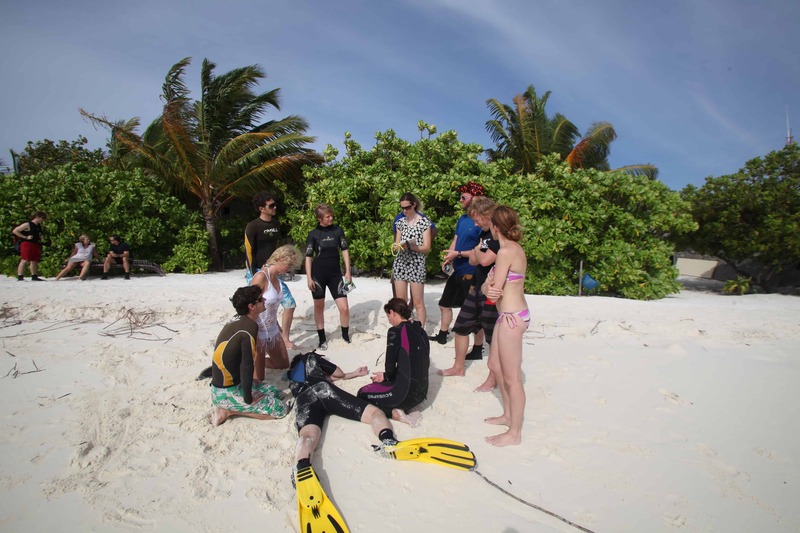 If your qualification is not recent we recommend you complete at least 2 or 3 refresher dives before the course so that you get the most out of the fantastic diving the Maldives offers. If the group is mixed, the dives will be split into 2 groups, so that each group is diving to its own ability. 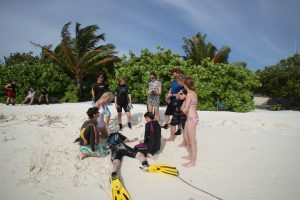 PARTICIPANTS MUST BRING WITH THEM THEIR DIVE QUALIFICATION CERTIFICATES AND LOG BOOKS AS PROOF OF DIVING QUALIFICATIONS. The Diving And Marine Medicine Course is accredited for FAWM points but we are waiting for confirmation of these as the Diving medicine course has moved to a new location. We are happy to announce the dates for our autumn Expedition Medicine course in the Lake District for the 9-12 September 2008 to be held at our training centre at the Barrow House Youth Hostel, Borrowdale, Keswick, Cumbria. Visit our Expedition Medicine photo gallery here to see more or download an course application form here, but hurry the places are strictly limited. Expedition Medicine is the leading provider of expedition and wilderness medicine courses, both here in the UK and also in a number of carefully selected overseas locations. Polar Medicine Course – Norway 17th – 23rd February 2008. Click here for further details, waiting list only. EML UK Course – Keswick, Cumbria 17th – 20th March 2008. Click here for further details, waiting list only. Desert Medicine Course – Namibia 17th – 23rd August 2008. Click here for further details. 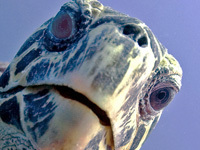 DATES NOW FINALISED for the Diving & Marine Medicine Course – Oman 18th – 24th October 2008. Click here for further details. Jungle Medicine Course – Costa Rica 9th – 15th November 2008. Click here for further details. For application forms or further details visit our website. We at Expedition Medicine are very excited at being able to offer an inspirational course for all those medical professionals responsible for clients or expedition team members in a diving or marine environment. The course is based in Oman a country which as recently emerged from its self imposed isolation, revealing a land of friendly people and dramatic landscapes bordered by an incredibly rich marine environment . We will be scuba diving in the Bandar Khairan area an area of outstanding natural beauty, boasting rocky outcrops, deserted beaches and small islands accessible only by boat. The underwater scenery is similarly dramatic with picturesque walls and reefs festooned with healthy corals and teeming with marine life.